We can’t even begin to explain how rewarding this last year has been. We’ve built many new relationships with our users and learned so much along the way thanks to all of the feedback we have received. A lot of exciting things have happened in just one year, read about all of it below! The first product of Travefy Professional launches beta project Travefy Agent. 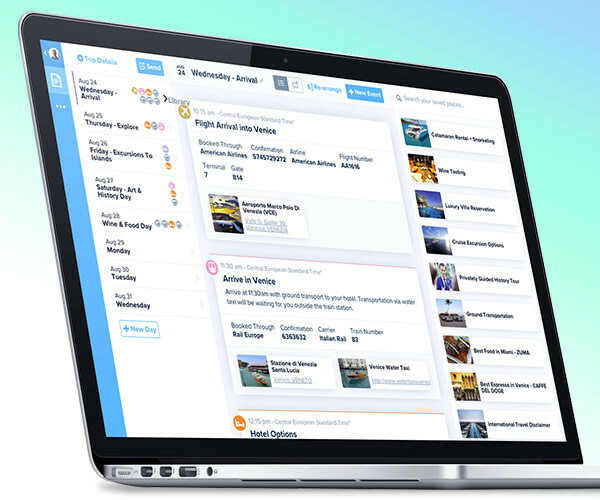 With the product, travel agents, tour operators, and advisors can create client itineraries, build a profile, and share the itinerary with clients. Check out the first video showcasing Travefy Agent here! 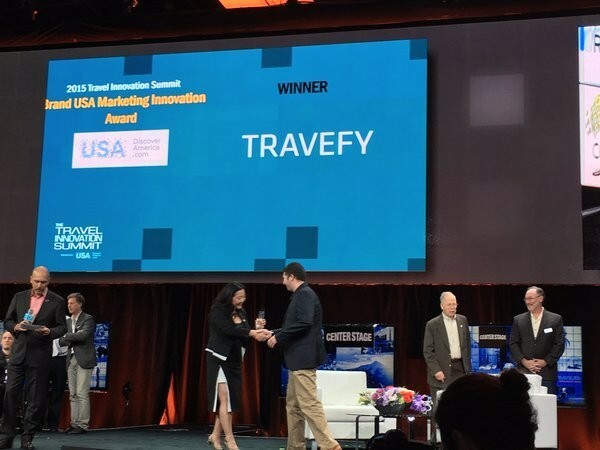 Travefy wins the Brand USA Marketing Innovation Award at the 2015 Phocuswright Travel Innovation Summit. In addition, Travefy Sales and Marketing, Scott Rutz was named Phocuswright’s 35 under 35 as part of the Phocuswright Young Leaders Summit. Travefy CEO David Chait accepting the award. Travefy Professional is officially released outside of beta on December 31, 2015, ringing in the New Year along with new subscription levels of Plus and Premium. Our developers like to refer to this as “Itinerary 2.0” – releasing more event types, new itinerary layout, Library, among many other features like our API. In January, we also hosted our first travel industry webinar “The Ultimate Pinterest Guide for Travel Agents”. 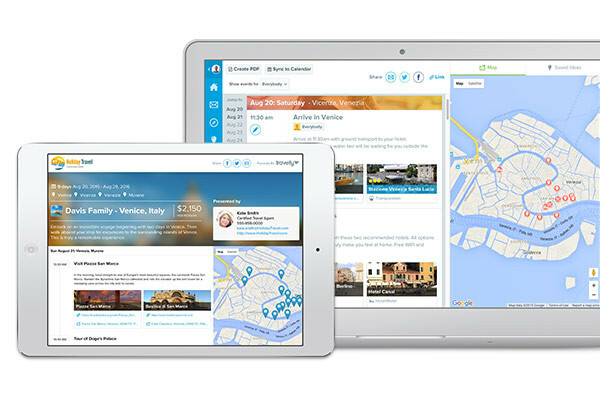 In February, we launch the anticipated Trip Plans app, a client-facing itinerary that can be downloaded on any iOS or Android device. We also release Travefy “power tools” for users to build new itineraries, even faster. In March, we released the Cruise and Flight Quick-Add feature that allows you to look up cruises and flights to quickly add them to your itinerary. We also released the popular Travefy Professional Referral Program! April was a big month for Travefy Professional! We added the ability to add team members to your account so that you can share content and create itineraries together. 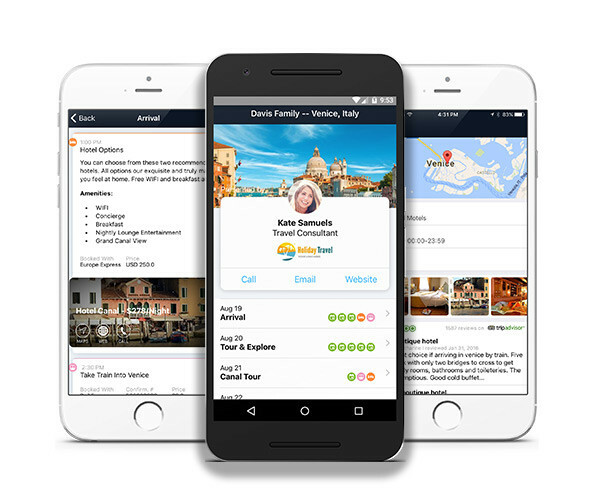 The messaging component of the Trip Plans app was also released along with the Travefy Pro app, which gives the travel professional the chance to view all itineraries on-the-go as well as message clients straight from the app. Finally, we also added additional and improved email import to import supplier itineraries and booking confirmations. Travel professional’s “Travefy Pro” app on the left and the client’s Trip Plans app on the right. In June, we released an integration with ClientBase Windows while also attaching the first GIF to make its way onto a Travefy Itinerary! We celebrated the attachments feature launch with this fun parrot to celebrate. You can also attach PDFs and other files. In August, we introduced the Event Library feature to take the Content Library to the next level. With the Event Library, users can save full events along with content to quickly build itineraries for their clients. Travefy Professional now has users represented in 64 countries, six continents, and thousands of cities around the world. We can’t wait to see what the next year looks like! Here’s a look of where Travefy users are all over the world!